A serious medical condition known as gestational diabetes may precipitate heart disease in women. The following brief article will cover topics including what this disease is, the affliction’s root causes, how it is linked to an increased risk of heart ailments and the methods women can employ to alleviate or eliminate it. This form of diabetes (a malady where the body experiences difficulties producing and synthesizing insulin, which results in increased blood and urine concentrations of glucose) develops during pregnancy. On average, the disease presents itself by the twenty-fourth week of the pregnancy’s term and can last its duration. While not extremely common, the disease is far from rare. A 2014 study conducted by the Centers for Disease Control (CDC) concluded that slightly more than nine percent of all pregnant women examined were stricken with this affliction. Scientists cannot pinpoint the direct cause to any one particular issue. However, many in the medical community have expressed confidence that hormones produced by the placenta (the organ that nourishes and shields the fetus) are a significant contributing factor. The placenta secretes an increased level of hormones to support the development of the unborn child. However, elevated hormonal production may, at times, precipitate elevated concentrations of glucose in a woman’s bloodstream. In most instances, the pancreas can successfully secrete enough insulin to counteract the imbalances. Under certain conditions, however, the pancreas cannot meet the demand, and the body is therefore subjected to increased blood-sugar levels. Certain risk factors can increase a woman’s chances of developing the gestational diabetic condition. These include a family history of the primary form of the disease, high blood pressure, having given birth to a stillborn child or one with congenital defects, having been previously diagnosed with elevated blood-glucose concentrations, being overweight or being born of Asian, African-American, Native-American or Hispanic heritage. How Is the Illness Linked to Heart Disease? Research studies conducted suggest gestational diabetics may be at a greater risk of developing cardiovascular and heart diseases such as hypertension (high blood pressure) and arteriosclerosis (also referred to as coronary artery disease; it is a hardening and narrowing of the blood vessels in and surrounding the heart) in the early portion of midlife. Scientists representing the noted Northern California-based healthcare conglomerate Kaiser Permanente managed a 20-year investigation of nearly 900 gestational diabetics, who ranged in age from 18 to 30, resided in four large urban areas across the United States and gave birth to at least one child. The results concluded that many test subjects developed either high blood pressure or coronary-artery disease in their forties and fifties. These startling results were not limited to American women. British researchers oversaw an examination of more than 900 gestational diabetics from February 1990 until May 2016. Their findings, which were published in January 2018, concluded that these women were almost three times as likely to develop heart disease and twice as likely as non-diabetics to be stricken with hypertension. What Steps Can Women Employ to Avoid Being among These Statistics? Most physicians agree that the best course of action is to get examined. The sooner the condition is found, the quicker it can be treated. 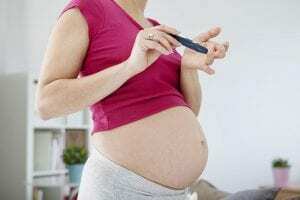 Should a woman be diagnosed as a gestational diabetic, different treatment options are available. In many instances, diet alterations and an increased level of exercise may be all that is needed to stabilize blood-sugar concentrations. However, in more severe cases, prescription medications or insulin might be indicated. Doctors also advise gestational diabetics be extra vigilant in monitoring their blood pressure and cholesterol levels, particularly as they approach middle age.